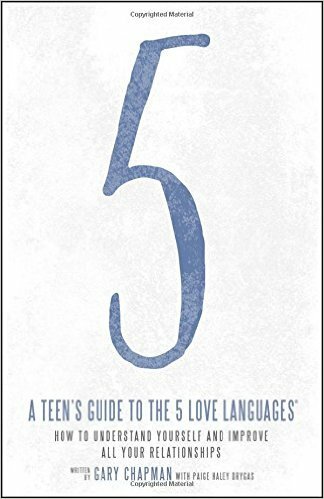 The following is an excerpt from the A Teen's Guide to the 5 Love Languages. Thanks to Moody Publishers for the permission to reprint the following excerpt. We’re all native speakers of one language: selfishness. From the time we were little kids, we saw ourselves as the center of the universe. It comes so naturally to us to think and talk about ourselves incessantly. But in order to grow in our relationships, we have to learn a new language: Words of Affirmation. 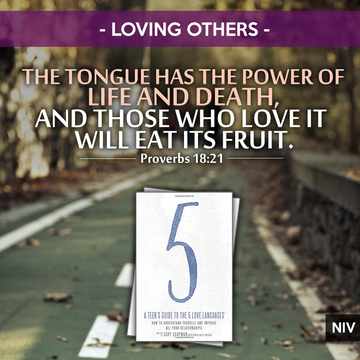 We have to speak life-giving words, positive words, true and confident words that build others up. Many of the people in our lives crave words, and it’s up to us to learn how to speak them. “The tongue has the power of life and death,” a wise man once said. Bold claim, right? But think of how you’ve experienced that to be true in your own life. Can you recall a time when someone said something really hurtful to you—personal, mocking, or cutting words—that made you feel small and doubt yourself? Sadly, we often remember those words our whole lives. In contrast, can you also recall a time when someone said something really kind and memorable to you—something personal and encouraging from someone who saw potential in you, maybe potential you didn’t even know you had? Then you know the life-and-death power of words. The right words spoken at the right time by the right person can inspire you to do and be more. It’s this potential for good that makes Words such a powerful love language.